With the hot and sunny weather still upon us and my fortnight of work nearly over , i decided on a trip to partridge lakes to make the most of the weather conditions . I wanted to try and get my head around paste fishing which im not very good at and after my good session on Pine canal i couldn’t think of a better place to go so that’s where i headed again , plus it was quite shaded on their so hopefully the carp will still be feeding rather than sun bathing and no sun burn for burn for me today . Arrived at the fishery at 930 and went for some cold cans of coke , i saw the balief and asked how pine canal had been fishing , he said that it was doing ok at the beginning of the week but gone a bit quieter recently but me being a stubborn so and so i decided to fish it anyway . Drove round to the far side of the complex because it was a closer walk to the higher numbered pegs which was were the shallower water is and hopefully more fish as well .When i got their peg 19 was vacant so i dropped my gear on it and unlike my last visit here there was about half a dozen fishing which wasn’t a surprise as Jamie Hughes won the fisho qualifier from this canal last Saturday . 9ft reactor light feeder rod with a 3/4oz tip , 6lb maver genesis main line , 10 gram pellet feeder , 0.14 garbo hook length attached to a size 18 guru hook with a micro band . Bait was soaked micros and 6mm hard pellets for the hook . Their was a 2ft gap in the weed bed for me to aim at , which was a 17m chuck and after a couple of casts to set the line clip i was ready to start at 10 o’clock . I had a couple of quick casts to get some bait down and then proceeded to cast every five minutes or after every fish of which their was none , after 15 minutes i started getting liners so at least their was fish present in the area but after thirty minutes of regular casting still nothing , i began catapulting in 6mm hard pellets to try and get some carp interested and i could hear and see the carp slurping at the mud line ,but the carp went missing every time i cast in so i left the feeder in a bit longer between casts and this didn’t work either so after an hour of in activity my tip rod went up the bank . Next up was a bit of paste fishing so i plumbed up at 5m and found 3ft depth , my rig was 0.4 scone paste float , 0.12 garbo line attached to a size 12 808 hook , 13 hollo elastic set medium . Bait was green swim stim paste and soaked micros . Kept re feeding every five minutes and it took twenty minutes before i started getting indications which was a good start , on the thirty minute mark i was into my first fish a small 8oz f1 which explained why the bites i was getting were very hard to hit and none of the proper gazunders you get from fish that are really having it . I began missing lots of bites which was to be expected after not fishing this method for nearly a year , i finally began getting the hang of it and was finding that the lift bites was easier to hit than anything else , the size of fish i was catching had increased to over 2lb too , which was probably the reason i was hitting the bites . At 1230 my wife turned up so we went for a burger at the cafe and we had a little walk round the complex while we ate them and i showed her were the open matches take place on covey and tried to talk her into getting me a membership of gold lake but she was having none of it although she was very impressed by all the lakes . When we got back to my peg all the fizzing had stopped and the fish had gone so it was time to re start the swim again and it took twenty minutes before i got the fish feeding , my first fish was a 2lb f1 and after posing for a couple of pictures with the fish , my wife decided to go so i could concentrate back on the fishing and just as she had gone out of sight i hooked and landed my biggest fish of the session an 8lb mirror carp . Had a run off fish which was all carp but the bites were still very iffy so i decided to set up a rig to fish banded pellet over the top of my paste swim because this was my most prolific rig the last time i fished here . 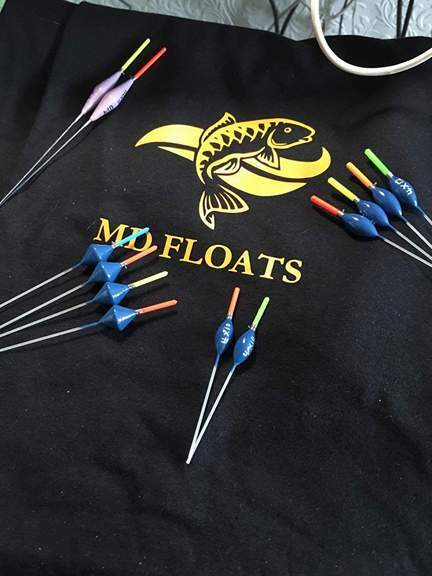 0.3 scone float set 3ft deep with a bulk shotting pattern , 0.12 garbo line attached to a size 18 f1 hook with a micro band and 13 hollo elastic . After twenty minutes of trying everything i know i just couldn’t get a bite with this rig and i think they had come pre occupied with paste and micros , it was now 2pm and i had 13 carp over 2lb plus a couple of small f1s . The carp was still slurping along the far bank and as that was a productive line last time i fished this peg , so i decided to try it again for the last couple of hours so another rig was required . 0.2 scone float set 2ft deep ,0.12 garbo line to a size 20 f1 hook attached to a micro band with 13 hollo elastic set medium . First drop at 16m and a big f1 was hooked and landed not a bad start , i was 1ft away from the far bank mud line but only inches away from the rushes so i targeted this area and in the remaining three hours i put another 17 carp in the net plus a few rouge silvers towards the end when the carp had obviously moved further down the far bank . At 530 i called it a day and ended up with 30 carp and f1s over 2lb and the biggest was an 8lb mirror carp for about 70lb not bad from a canal that was supposedly fishing hard and lots of chopping and changing taking place regarding tactics . A nice relaxing days fishing in the sun but just a shame i had to go out to 16m to keep the carp coming , lots of things to think about especially on a day like today but it was enjoyable all the same . Back on the covey open match Sunday just hope i do better than on my last visit . This entry was posted in Partridge lakes, pine canal. Bookmark the permalink.